Sub-orbital altitude solar/rocket powered mother ship launch vehicle THE NORTH STAR: 56+2 seater Solar Impulse like spanning passenger aircraft ! 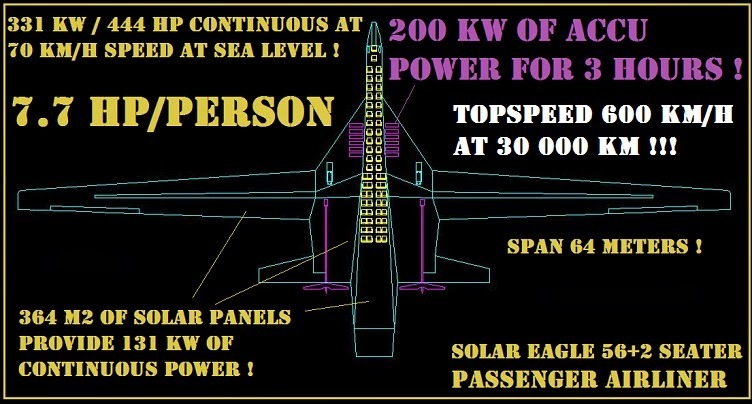 56+2 seater Solar Impulse like spanning passenger aircraft ! 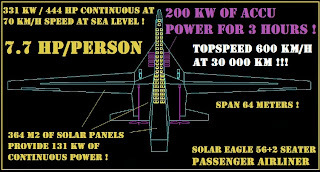 This could be the first step towards electric/solar powered passenger aeroplane ! I am pretty sure it has to have 2/3 of the accu power.